The 10: Desserts - Eat. Fit. Fuel. I won’t even begin to try to deny the fact that I have a major sweet tooth. However, I firmly believe that to deny myself sweets just because so many of them are unhealthy, fatty, and sugary would be crazy! Especially with all the amazing nutritious and not-so-disastrous options there are out there. So for this week, The 10 is tackling desserts and giving ten of the healthiest options for satisfying that sweet tooth. This improbably the laziest of the ten, but certainly one of my favorites. 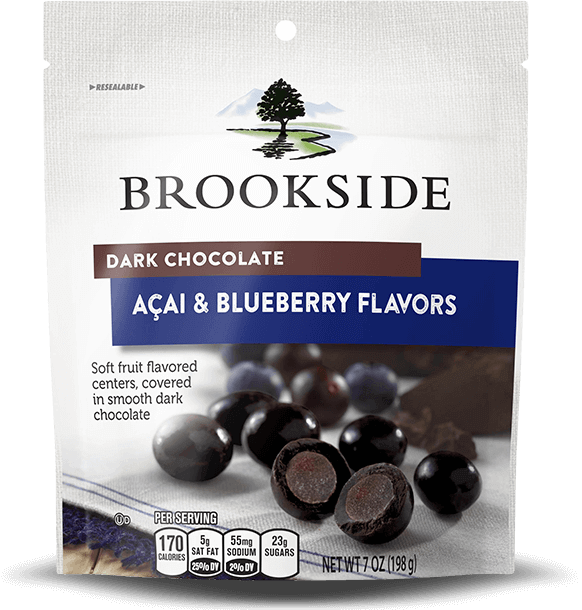 The health benefits like lowering cortisol levels and stress from dark (and I mean dark >70% cacao) chocolate combined withe super fruits like strawberries, blueberries, and goji berries make a nutritiously delicious snack that takes nothing more than a cup and microwave to prepare. Low-Fat Greek Yogurt Parfait: Greek yogurt is creamy and versatile with a hint of sweet. Adding layers of chopped nuts, fruit, or organic jams can make a decadent dessert substantial enough to satiate hunger as well as satisfy your sweet tooth. There is a full article about this one, but for now, lets stick to the basics. Chocolate milk is not only a great way to get in that sweet you may be craving but also acts as an effective way to recover after the gym. 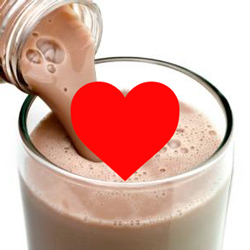 That’s right, chocolate milk is a great post-workout option! Ever wonder why thy developed the protein shake? Homemade Sorbet: Especially for you warm weather lovers, this is a great dessert option. Homemade sorbet can be full of healthy fruits with little or even no sugar when using honey or stevia as alternatives. Sorbet avoids the heavy saturates that traditional ice cream has with all the sweetness still int here. Fresh fruit and Cottage Cheese: Cottage cheese is definitely versatile, and one of it’s faces is as a sweet treat when combined with some fruit and cinnamon. High in protein and low in fat and saturates, it offers a great way to fill out those macros without more egg whites or chicken breasts. Try it with chopped pineapple! This one you may not have heard of before but it is a winner. 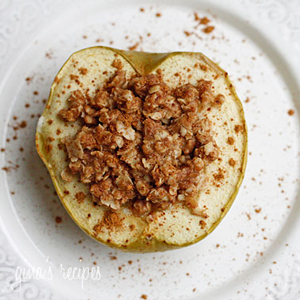 Try scooping out the core of an apple from the top and filling it with oats, nuts, and maybe even a bit of honey then baking it in the oven for a warm, delectable dessert that would fit in at a five-star restaurant. PB & J: Seriously, how happy are you right now? Who doesn’t love this childhood classic. With organic peanut butter and reduced sugar (or home made) jam on some whole grain toast, this is a protein and fibre packed snack that’s guilt free with that hint of the bliss we felt as kids. All-Fruit Popsicle: No added sugar in these puppies, just fruit-filled goodness that takes seconds to make. Try pureeing some watermelon with a little lime juice then freezing in popsicle trays. Sure, there is some sugar but not much in comparison to store bought ones keeping you in the all clear for an after dinner snack. Dark Café Mocha: A traditional café mocha is made with melted dark chocolate mixed into espresso with steamed milk. Today, Starbuck’s and it’s competitors would have you believing it’s really made with powdered chocolate or syrups. However, dark chocolate mochas (which you CAN find in some coffee chops like Peet’s or independent cafés) are great for an energizing pick me up with the sweetness to curb cravings. Try it with skim milk to keep it even more waistline friendly. I feel like this one is almost cheating because it’s so obvious, but sometimes people forget that smoothies can make a great solution to dessert cravings. Adding protein powder, greek yogurt, chia seeds, or peanut butter to a smoothie can really make them thick and satiating so you won’t just want to keep making more. 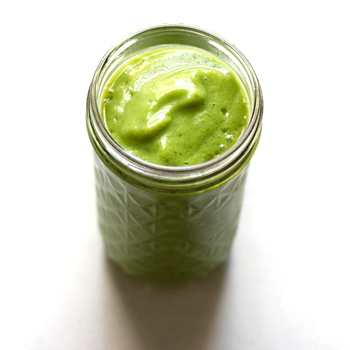 Try a smoothie with spinach, peanut butter, chia seeds, almond milk, 1/2 scoop of vanilla protein powder and 1/2 a ripe banana and you’ll be satisfied and ready to get full into those after dinner rounds of charades your brother-in-law always plans.